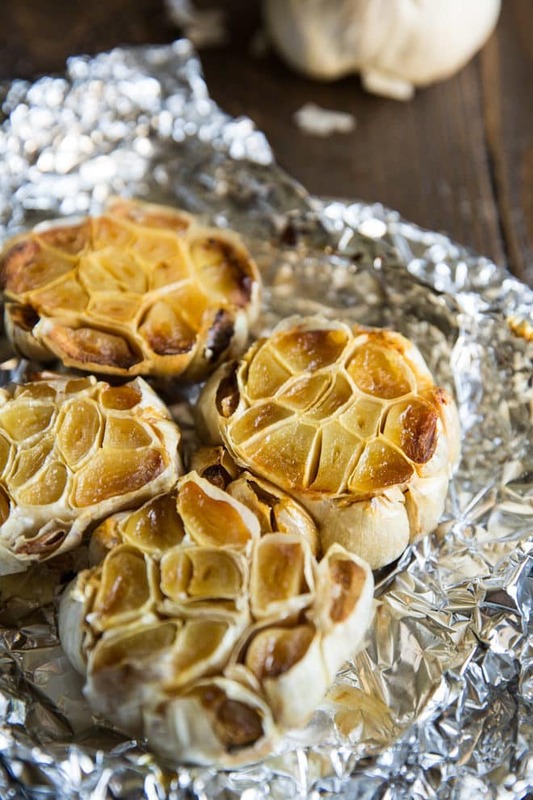 An easy recipe for how to roast garlic in the oven. Mash roasted garlic cloves and add to potatoes, soups, and salad dressings or spread directly on bread. Where raw garlic is harsh and astringent, roasted garlic is soft as butter, caramel in color, and mellow in flavor. 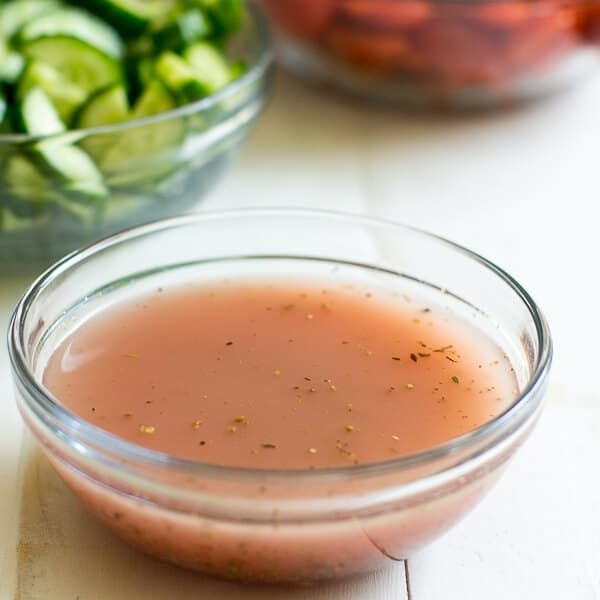 It’s an easy way to add complex flavors to so many dishes: Mashed potatoes, soups, salad dressings, sauces, and dips like hummus or tapenade. Or, just eat the roasted garlic cloves plain, straight out of the head! How do I Roast Garlic Cloves in the Oven? To roast garlic in the oven, first remove the papery outer layer of a bulb (but not the papery skins). Keep the cloves attached. Next, slice off the top layer of the bulb to expose the cloves. Drizzle with oil, then wrap the bulbs in foil. You can wrap the bulbs individually or as a group. You can also arrange individual bulbs of garlic in a muffin tin, drizzled with oil, and cover with foil. Last, roast until the cloves are a deep golden color and soft as butter. 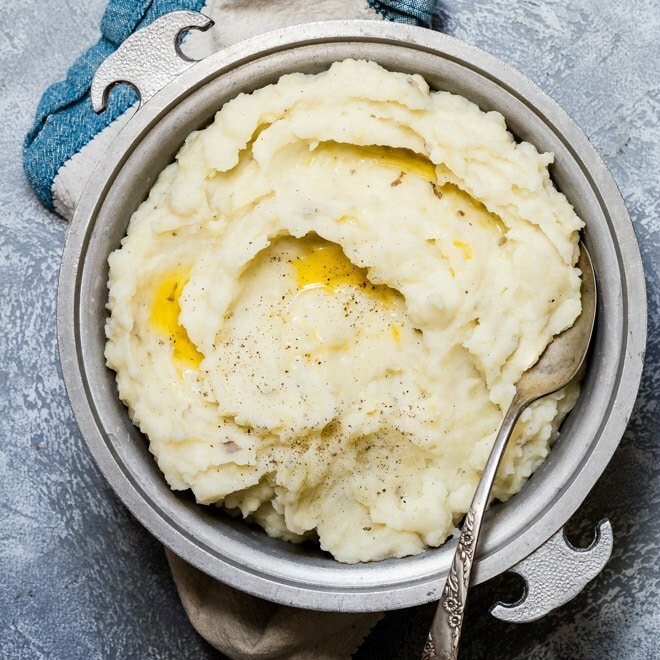 Once the bulbs are cool enough to handle, you can squeeze out the individual cloves and eat them straight or mash them to use in other recipes. Can you Roast Peeled Garlic Cloves? Yes, you can roast peeled garlic cloves. Preheat the oven to 400 degrees. 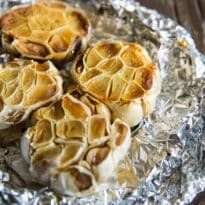 Line a baking dish or pie plate with foil and place garlic cloves in the middle. Drizzle completely with oil and wrap tightly to make a foil packet. Roast for 30 to 40 minutes, until the cloves are golden brown, fragrant, and completely soft. How long does it take to roast garlic in the oven? In a 400-degree oven, garlic roasts in 30 to 40 minutes although you can roast it longer for a dark color and deepened flavor. 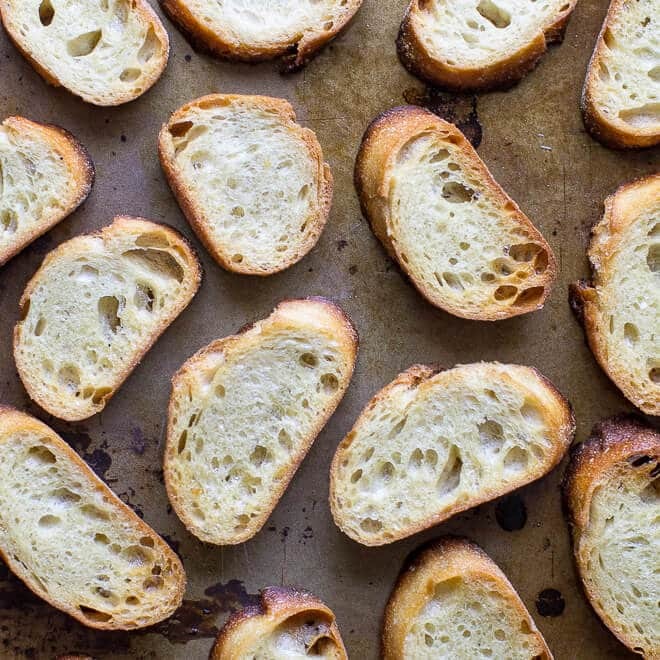 Save this How to Roast Garlic Recipe to your “Pantry” Pinterest board! Preheat oven to 400 degrees. 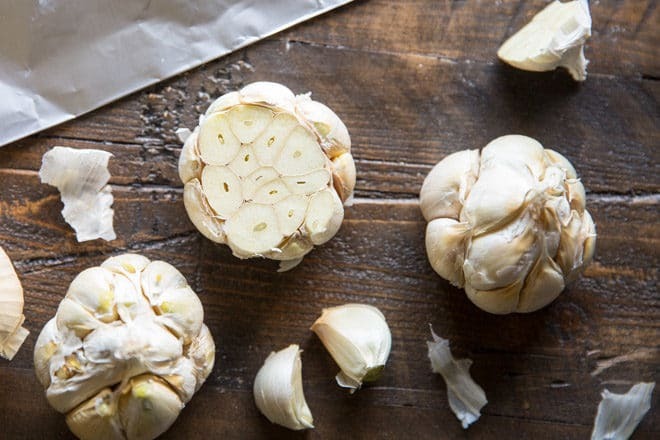 Remove outer papery layers of garlic bulb, leaving the skins in tact and cloves attached. Using a sharp knife, trim about 1/4 inch to a 1/2 inch off the top of the bulb to expose the cloves. 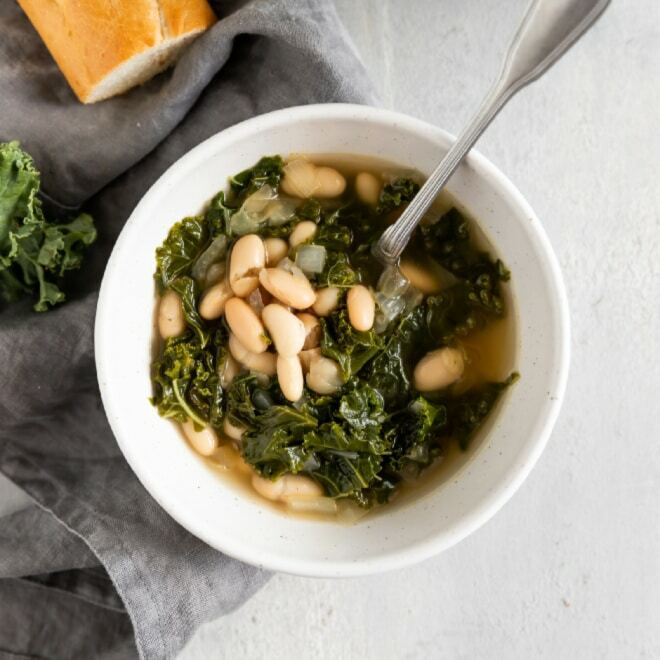 Drizzle with olive oil (I like about 2 tablespoons olive oil per head of garlic). 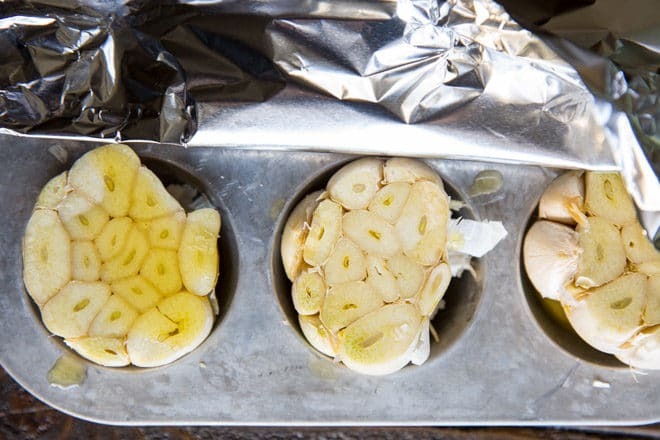 Wrap the individual heads of garlic tightly in foil and place on a baking sheet. Or, place the individual heads in a muffin tin and wrap tightly in foil. Bake for 30 to 40 minutes, checking the cloves at 30 minutes. 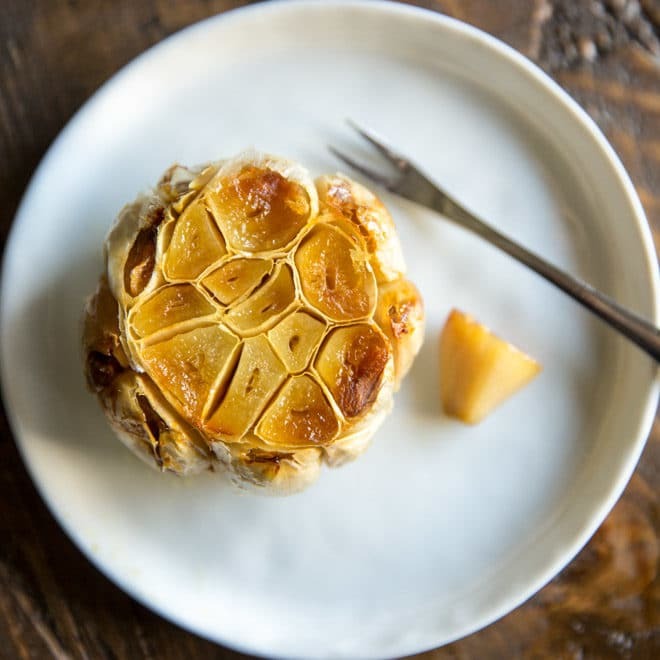 The roasted garlic is done when it caramelized in color and the cloves are very soft and can be pieced easily with a knife. You can continue roasting the garlic longer if desired, until deeper in color, checking every 10 minutes. 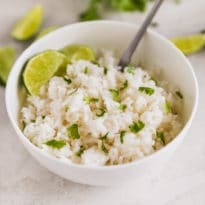 The roasted garlic can be eaten plain, straight out of the head, or mashed and spread on bread or added to many dishes including mashed potatoes, hummus, soups, tapenade, or salad dressings. Preheat oven to 400 degrees. Line a baking dish or pie plate with foil. Arrange peeled garlic cloves in the middle of the foil and drizzle completely with olive oil. Wrap the foil tightly to make a packet and roast 30 to 40 minutes, until golden in color and completely softened. Nutrition information is based on one bulb of garlic with 12 cloves made with 2 tablespoons olive oil and assuming 2 cloves per serving. Never thought of lopping the tops off the heads and doing them en masse. Great idea! I did this and I love it! 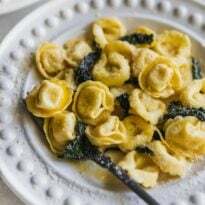 My recipes that require garlic are so much richer in taste. I still use some garlic raw but oh my!! Fantastic process for garlic!! Yes I do like roasting garlic and I would like to know if after I have roasted them can I freeze the leftovers that we did not eat? Cause we have a lot of garlic that we will roast? thanks again have a great afternoon.